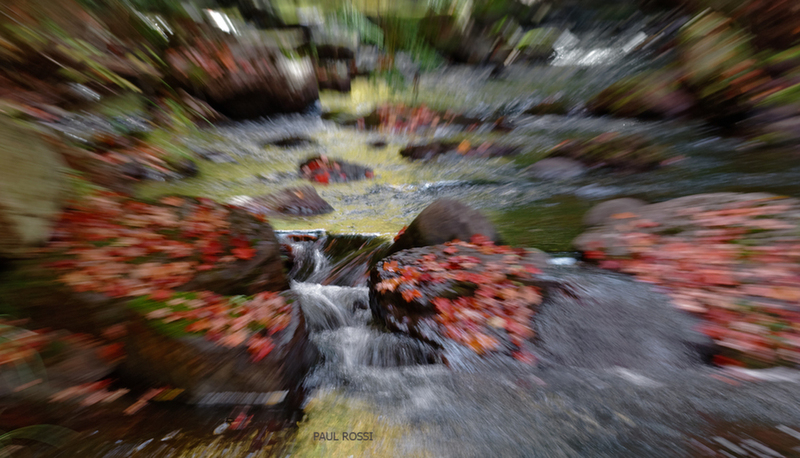 I zoomed my lens with the intention of retaining some sharpness of the little waterfall between the rocks. After many tries I was happy with this result. This was part of the fun of a fall color trip with my wife a few hours west of our home, to the Porcupine Mountains of Michigan. Slight crop. Whoosh! Very dynamic- looks like you had fun with this one! I like how the colors converge towards the quieter, greenish center that anchors the motion. This makes a wonderful abstract. Well done!! Got more? I agree with Cindy. A striking abstract — very successful zooming technique. I have to find them, but I have a few that come to mind.